Submissions in any of the Sovereign Award Media Categories must be submitted by the author, photographer or producer, must be of Canadian Thoroughbred racing or breeding content and must have appeared for the first time during the period specified below in a public medium recognized by The Jockey Club of Canada. The Jockey Club of Canada has the right to refuse any submission in any category. There is no entry fee for submissions. 2018 Sovereign Award Media Category submissions must have appeared in a recognized public medium as stated above between the dates of January 1, 2018 and December 31, 2018. Submissions must be received by The Jockey Club of Canada office by email before 11:59 p.m. EST December 31, 2018. Submissions received after this deadline will not be accepted. A statement indicating the contestant’s wish to submit the body of work for consideration. The specific Media Category in which the work is being submitted. The date published or broadcast. The official name or web address of the medium in which it appeared. The complete contact information including phone number and address of the contestant. One submission per contestant will be accepted in each media category. In the event that more than one submission is received in any media category, the contestant will be asked to decide which submission should be entered. Writing submissions must be sent via email to jockeyclubcanada@gmail.com as an attached word document or pasted into the body of the email. This must be accompanied by a cover letter by the author of the piece, as stated in the submission requirements, and a scanned tearsheet or internet link to the original published piece. Please include Sovereign Award Media Category – Writing in the subject line of the email. Photograph submissions must be sent via email to jockeyclubcanada@gmail.com as an attached hi-rez (300 dpi max) jpeg file. This must be accompanied by a cover letter by the photographer, as stated in the submission requirements, and a scanned tearsheet or internet link to the original published photograph. Please include Sovereign Award Media Category – Photograph in the subject line of the email. Digital Audio/Visual and Broadcast submissions can be sent by email to jockeyclubcanada@gmail.com and must be accompanied by a cover letter, as stated in the submission requirements. Please include Sovereign Award Media Category – Digital Audio/Visual and Broadcast in the subject line of the email. Please contact the Jockey Club of Canada at 416-675-7756 if you cannot submit your entry via email. Judging for the 2018 Sovereign Award Media Category will be performed by the Professors of Humber, School of Media Studies & Information Technology in Toronto, Ontario. The Program Coordinator at Humber, School of Media Studies and Information Technology will be sent all submissions in the Writing, Photograph and Digital Audio/Visual and Broadcast categories in January, 2019. 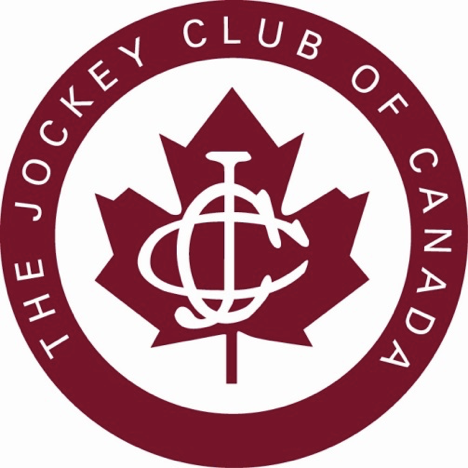 The three finalists in each of the media categories will be determined by the judges and will be announced via a Jockey Club of Canada press release and posted on The Jockey Club of Canada website in February 2019. The three finalists will also be contacted by The Jockey Club of Canada via email. The winner of each category will be announced at the 44th Annual Sovereign Awards Ceremony on Thursday April 18, 2019.